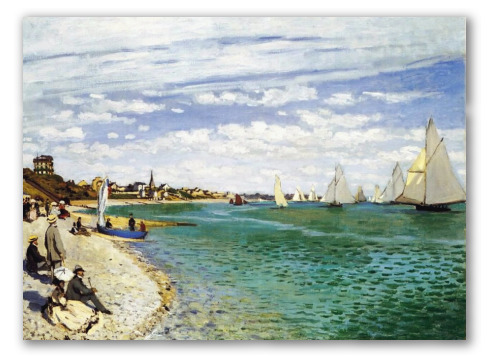 "The Regatta at Sainte-Adresse" by Monet, Oil Painting Replica. 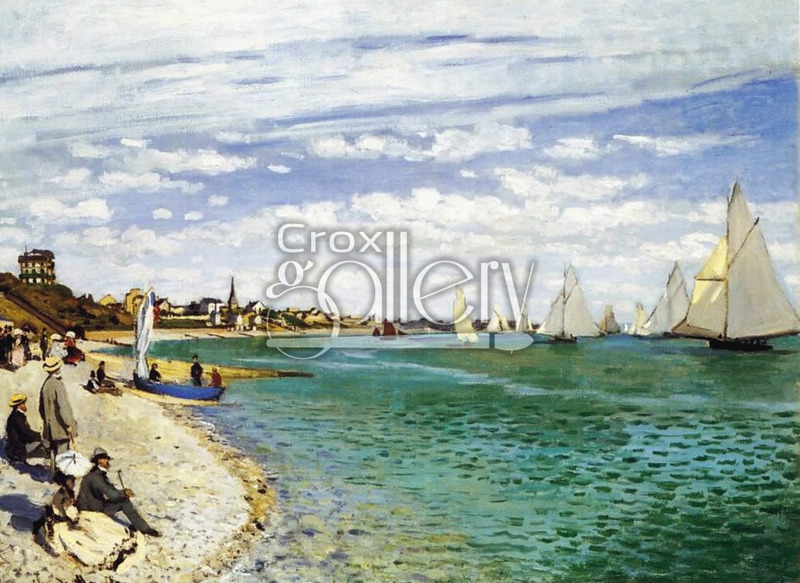 Regatta at Sainte-Adresse, painted in 1876 by Claude Monet. This seascape displays a variety of turquoise and beige colors at a French coast with viewers watching the sailboats. The painting can be found on exhibit at the Metropolitan Museum of Art in New York.